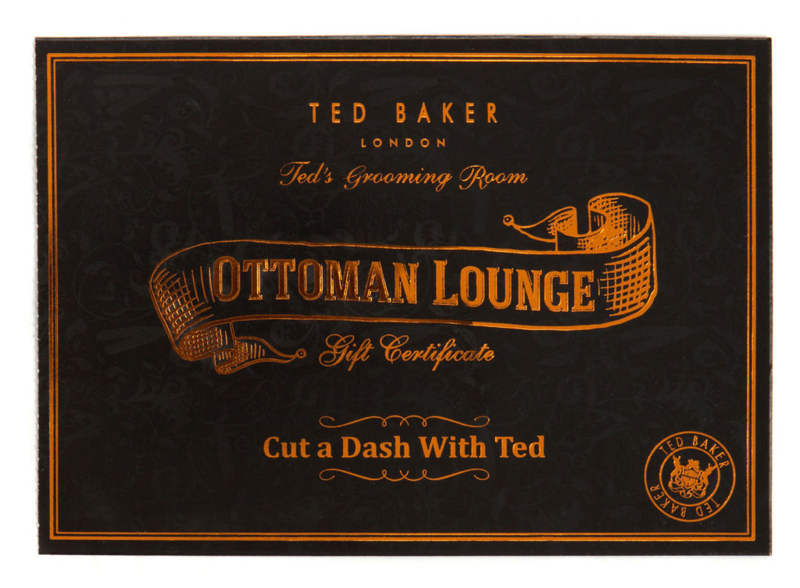 So Ted Baker have opened up a load of grooming rooms around London that will make guys actually want to go and get their hair cut! And its not just the hair on your head they will fix. You can get a hot towel shave, or stubble grooming treatments, neck fluff removed, eyebrows trimmed and ears flamed. And they even serve beer! What more could a guy want? They offer gift certificates which come in a lovely little box so could be a nice twist on a valentines day gift. Next up, trackies/PJ’s. Boys love being comfy just as much as we do so a nice pair of cotton trackies or PJ bottoms is something they will always use and isn’t a super soppy present! I’ve just pulled a couple of pairs that i found on ASOS but i’m sure you can find nicer/cheaper/better colored ones that your lovely other half will like. Monogramming is all the range at the moment, and getting something that’s a little more specific to him shows you’ve made the effort + its a little more sentimental if your looking for something less generic. And whats great about it is you can monogram pretty much anything, wallets, lighters, note pads, clothes, literally anything. So the options are endless. Here are a couple that i quite liked the look of. Next, how about a present for you and him! I think we all know what i’m referring to here! Get yourself a great new matching set, pretty much every underwear store has a valentines section on their websites if your stuck for ideas. Doesn’t have to be anything super fancy or out there, I’m sure it will go down a treat either way! Lastly, another one you can both enjoy together, but make sure you are thinking about him when you get this one and not you! Get him a couple of tickets to that gig/football match/comedy show he mentioned, this way its still a gift for him, but you have something to look forward to. But like i said, make sure your thinking of him and not you! If your other half isn’t big into spa days, probably not best to buy him a weekend break at a spa! So there are some ideas to try and get your imagination going if your stuck for presents, hope it helps! What does everyone want from there other half this year?